The Scottish Parliament has outlined plans to phase out petrol and diesel cars by 2032, supported by part of a £60m funding pot for low-carbon technologies. 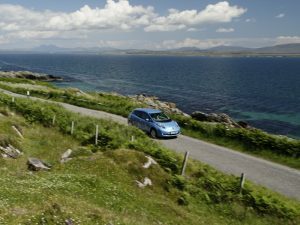 Scotland wants to phase out petrol and diesel cars by 2032. Announced weeks after DEFRA said it would ban “conventional petrol and diesel” sales by 2040, Scotland appears to be working to an eight-year tighter deadline for phasing them out. It’s not clear whether Scotland will also look to end sales of hybrid vehicles, which were not covered by DEFRA’s document. The plans were revealed in the Programme for Government, backed by a £60m Innovation Fund aimed at encouraging businesses and academia to work together on energy storage, sustainable heating and EV charging. It’s aimed that the A9 from Perth to Thurso will be the country’s first major road with frequent rapid charging stops – the Ecotricity Electric Highway network stops at Glasgow and Edinburgh. Low Emission Zones will be established in Scotland’s four largest cities by the end of the decade, and consultations are underway to investigate how these could be rolled out.